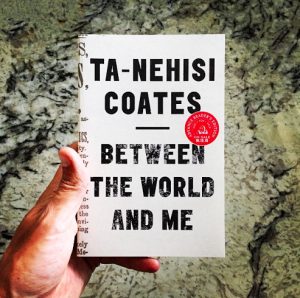 I just finished Ta–Nehisi Coates’ brilliant letter to his son. “I write you in your 15th year”, he says. “And you know now, if you did not before, that the police departments of your country have been endowed with the authority to destroy your body. . . I tell you now that the question of how one should live within a black body, within a country lost in the Dream, is the question of my life, and the pursuit of this question, I have found, ultimately answers itself.” I have only read this book once, and I know I will read it again; it is beautifully written and full of passionate insights. 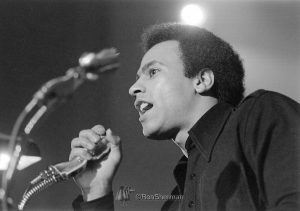 And it got me thinking about the black power movement that so deeply affected me in my late teens and twenties, and my first exposure to this movement, which arrived in a circuitous fashion that was quite personal. In my freshman year of college, I was invited to join a sorority in which I was the only Jew. I discovered this fact when I was told, “You don’t look Jewish”, as if that were a compliment. For the first time, I felt that faintly uncomfortable sense of tokenism, knowing somehow that I was representing “my people”, but only because I fit in to “their” world. I’m sure that my response at the time was to smile, because I had been socialized that way. Perhaps it was a confused smile that attempted to cover up any latent anger doused with gratefulness for being accepted in this upper-class bastion where I did not belong. I continued to hang out with friends from my freshman dorm who had also joined the sorority, creating a transition to this new world as I walked a tight rope of social acceptance, wearing outside markers of belonging, with long flowing straight hair, short skirts and hip boots with heels. It all seemed so “natural”. 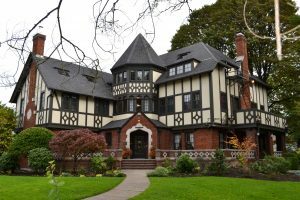 The sorority was housed in a giant mansion where we “sisters” were invited to partake in formal dinners served by young college students whose lower class brought them to their jobs as “houseboys”, young men who were not allowed to enter through the front door, but came to work instead through the kitchen in the back of the house. This was not the South, as you might be imagining. This was Syracuse, New York in 1968. Meanwhile, I was having fun with my old friends from the dorm who had joined the sorority, and was excited about the prospect of sisterhood. Only occasionally was I feeling pangs of dissonance, despite my excitement about feeling welcomed. My parallel passion was dance, “my true home”, and I had jumped head first into the Dance Club at my university, because there was no dance major in those days. It was there that I found the greatest solace and a full spectrum of kindred spirits. The world of dance was a place that had always felt like home. After my first summer break, when I came back to college, I arrived at my new dorm excited to see my friends, and discovered that all of my friends from the sorority had moved into “the house” without letting me know their plans. Rather than feeling excluded at the time, I begged my parents to allow me to leave the dorm and move into “the house” as well. They agreed. Once settled in my new abode, I gradually allowed myself to see the real truth about the institution of which I had become a part. As a sister, I was part of a formal stratified system which included some and excluded many others. There were rules about behaving properly, including at three formal meals each day where we sat quietly and were served by the houseboys. Add to that the endless meetings which were governed by Roberts Rules of Order, further reinforcing the hierarchical stratification of our numbers. Hovering over our sisterhood was a small group of older women, den mothers of sorts who ensured this proper behavior. It was stifling, and this beautiful mansion began to feel like a prison. My world outside was growing as I increasingly identified as a dancer, a creative soul who hung out with other artists who laughed freely, partook in group massage, and smoked weed. My best friend was a young gay man with a sharp eye and wit. Together we began to deconstruct the precious world of my sorority, finding absurdity in this bastion of the rich. As we absorbed the various social movements of the day, including a rising counterculture and a burgeoning civil rights movement, I had hopes that I could change the institution from within. I called for a meeting with the trustees of the sorority, and sitting in front of a small tribunal of the den mothers, I proposed that the sorority be transformed into a “collective”. Of course, they looked at me like the outcast that I was, their negative response confirming for me that this was a place where I – a Jew, an artist, a non-conformer – did not belong. My parents gave me permission to move back into the dorm as long as I got a job to pay for my room and board. I got a job in a fast food joint, a precursor to McDonald’s, where you could get fired for pilfering one French fry. From the fancy sorority house, I moved into a simple dorm room – a double – which I shared with Cheryl, an African-American student from White Plains, New York, whose father was a psychiatrist and mother an accountant. My guess is that Cheryl didn’t have any say in the matter of my arrival, treating me cordially but with a cool distance. Each Sunday, my dancer friend and I would slip through the back door of “the house”, along with the houseboys, to pick up a delicious Sunday dinner – since my parents were still paying for the sorority through the semester. I was greeted by the lovely cook, who welcomed me with even more open arms now that I was no longer “in the fold”. Over the few months that Cheryl and I shared a room, we developed a friendly-enough connection, but when the more radical “Harlem girls”, as they were called, came for a visit, Cheryl ignored me, and when I saw her outside of the room, she would not return my “hellos”. Eventually I moved out of the double and into a single room, and I’m sure my presence was not missed. I understood at the time that her lack of interest in me wasn’t personal, necessarily. This was a period in which black students on campus were building a movement of solidarity, separate from white people, even white roommates, and that this was an important moment of building confidence and connection amongst one another that didn’t include white women, even Jews who were rejected from Christian sororities. I remember feeling somewhat awed by the Harlem girls, who were beautiful and strong, and while Cheryl clearly came from a different class background from them, they all shared a special connection. These were confusing times. 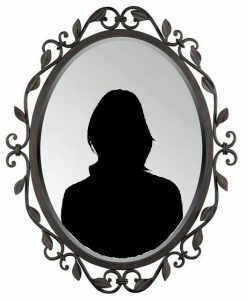 I had gone from feeling like an outsider in the sorority because of my class and my Jewishness to being placed in the company of a young black woman who was an outsider, because of her race. Cheryl probably came from a “higher class” than me, but her racial background defined her in this predominantly white university setting, and the people she sought out for friendship were the Harlem girls, with whom she shared blackness, but not a class background. As I read Ta–Nehisi Coates’ treatise to his son, I am reminded of the long and hard struggle of African-American people in this US of A. I reflect back on my earlier experience. We still live in a world of deep economic and social inequality and systemic racial injustice. I am appalled by some of the current insidious and frightening reactionary movements, fueled by politicians who take advantage of people – white people particularly – who are ignorant of possibilities and their own oppression. Sometimes I feel despairing, and yet there are places of light in the movement of people who are dedicated to social justice, people who fight for and support the current civil rights movement through Black Lives Matter, people who fight for survival on this planet through the climate change movement, people who fight for the rights of immigrants, following the line of so many people who have fought for acceptance in American society over hundreds of years, and people who continue to fight for women’s rights and LGBTQ rights. I think back to my old roommate Cheryl and the Harlem girls and wonder what they are thinking and doing today. Ta–Nehisi Coates refers to his alma mater Howard University, an historically black university, as the Mecca.